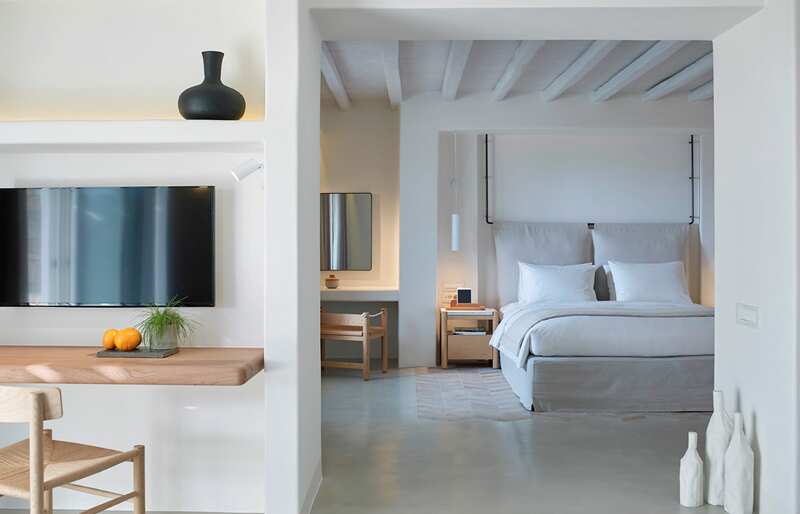 This effortlessly beautiful, Mediterranean-chic luxury boutique hotel stands out with its serene atmosphere, cosy interiors and the perfect location for sundowners. 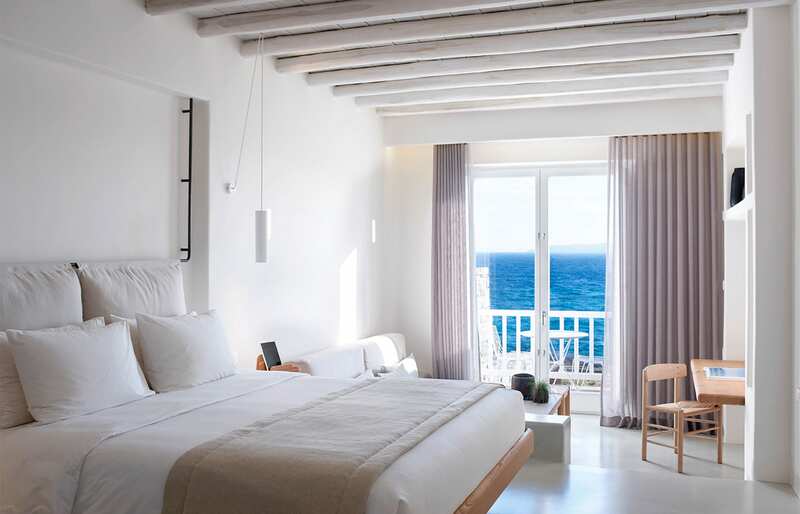 Ideally located near the bustling Chora, above the Megali Ammos beach, The Bill & Coo Suites overviews the Tinos and Syros islands and the Mykonos town with its famous windmills. 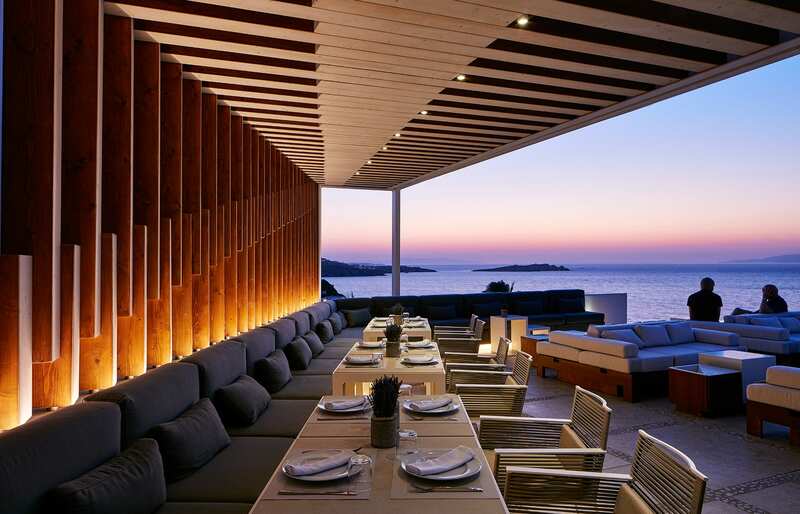 The Mykonos’ hub of nightlife is just far enough to make the hotel a perfect retreat after a night out. 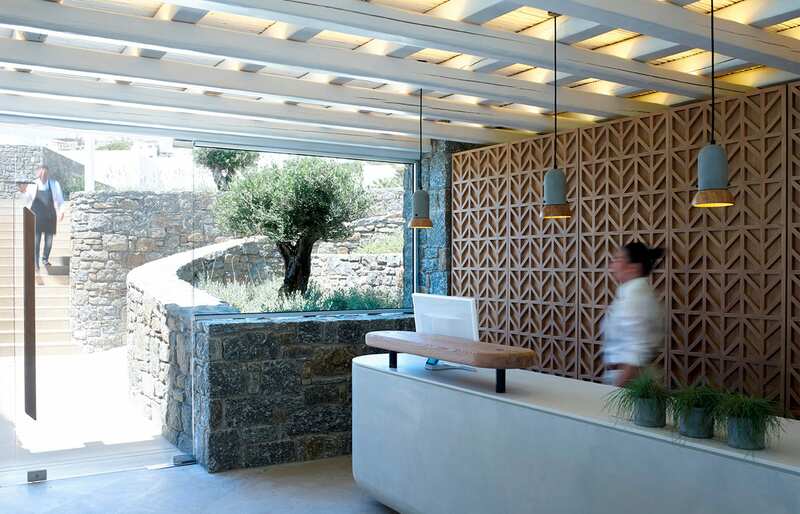 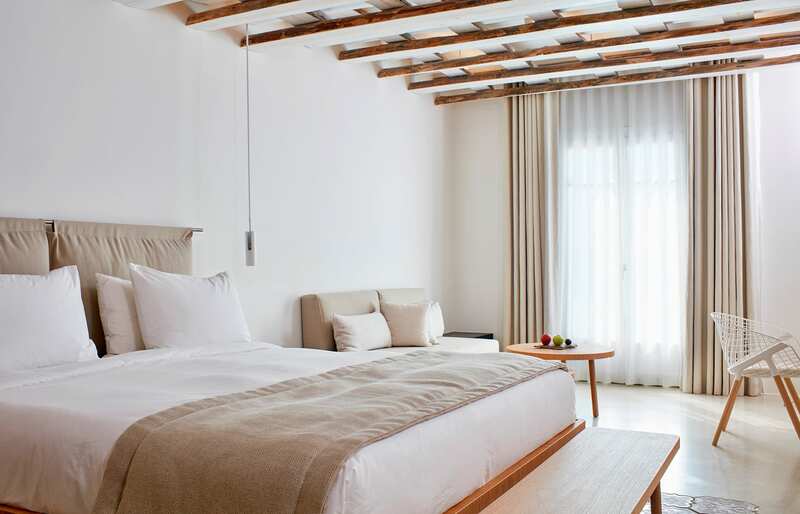 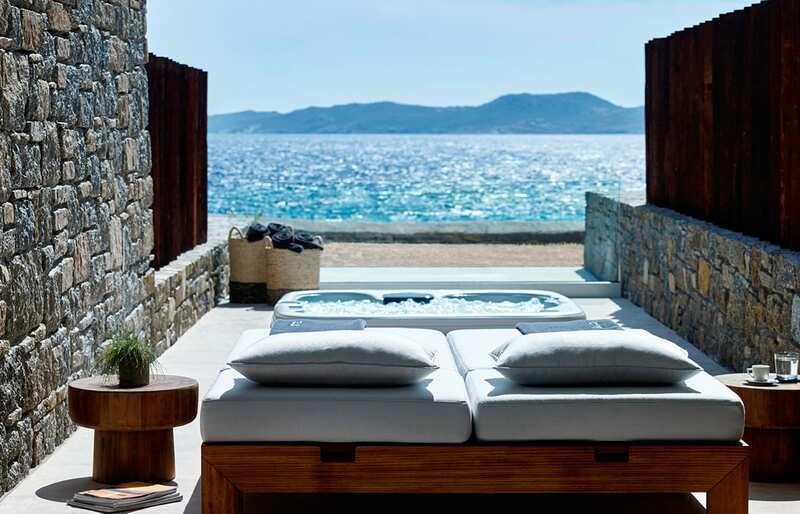 The most cosmopolitan of all Greek islands is a fitting host for the über-chic, adult-oriented boutique hotel, designed to nurture an infinite sense of romance and sensory seduction. 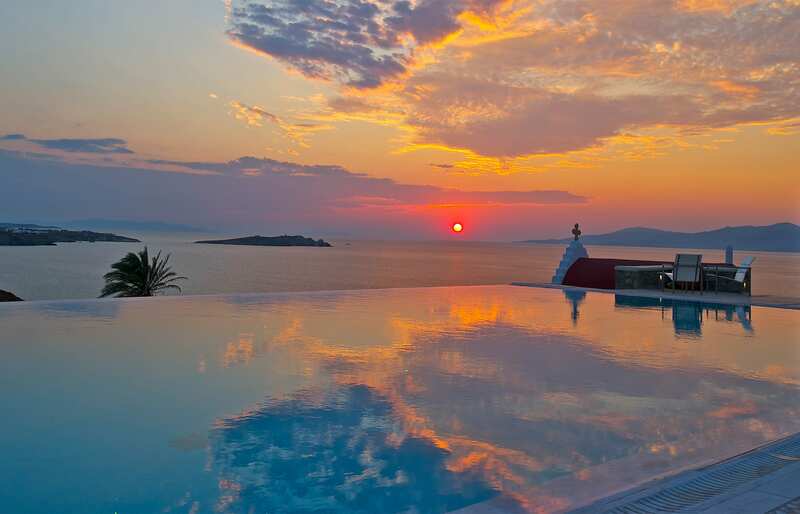 The hotel’s infinity pool, facing the Aegean Sea, is a glorious setting for the genuine magic of the breathtaking sunsets. 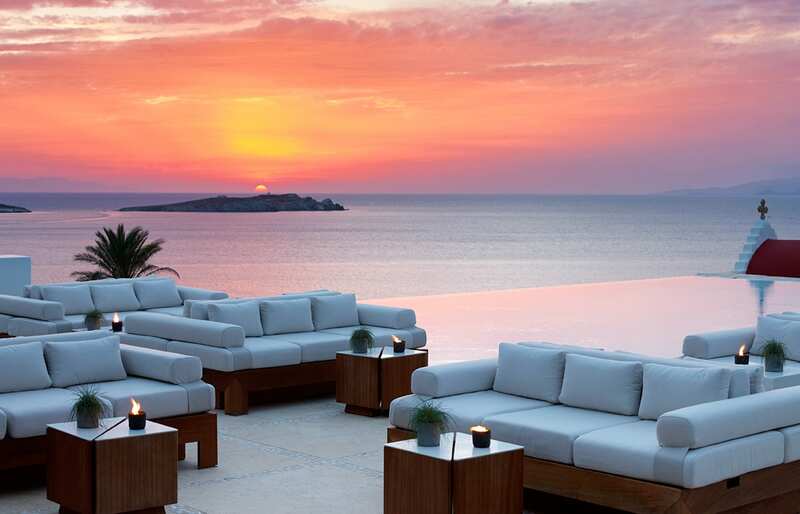 The outdoor lounge bar by the pool draws in to participate in the sun-setting spectacle. 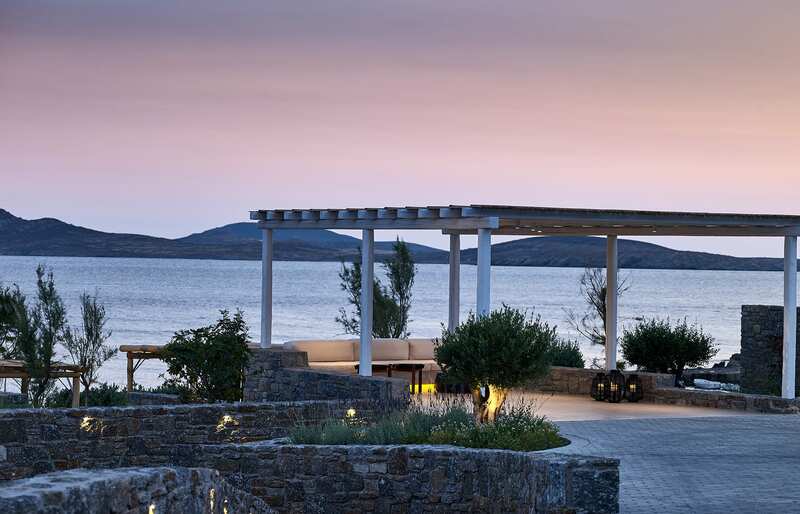 Later, the pool gets the illuminated by ingeniously placed LED lights and the outdoor lounge area becomes the most stylish hangout on the island. 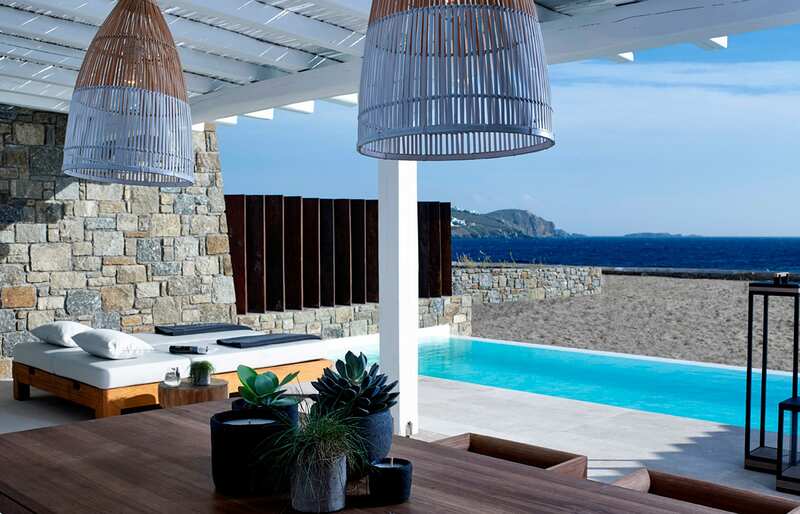 Also by the pool, Bill and Coo’s gourmet restaurant serves creative Mediterranean cuisine, under the award-winning Chef Athinagoras Kostakos. 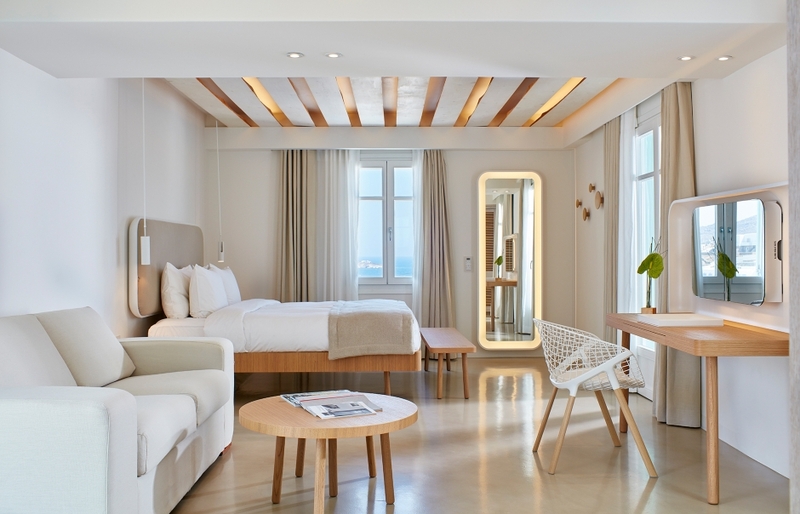 Bill & Coo Suites is comprised of 23 luxurious suites, designed with a great sense of contemporary aesthetic. 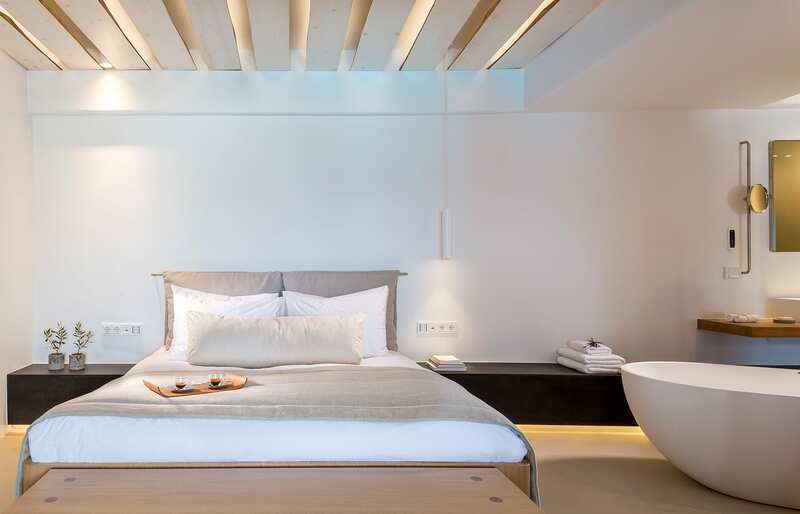 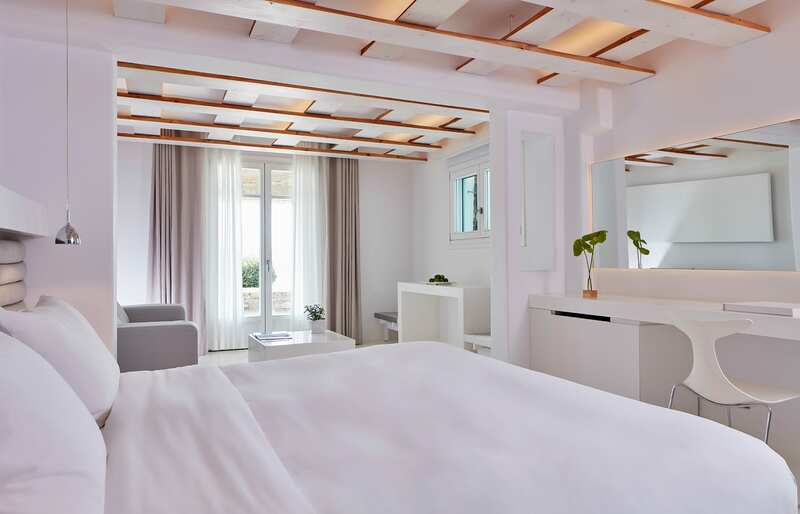 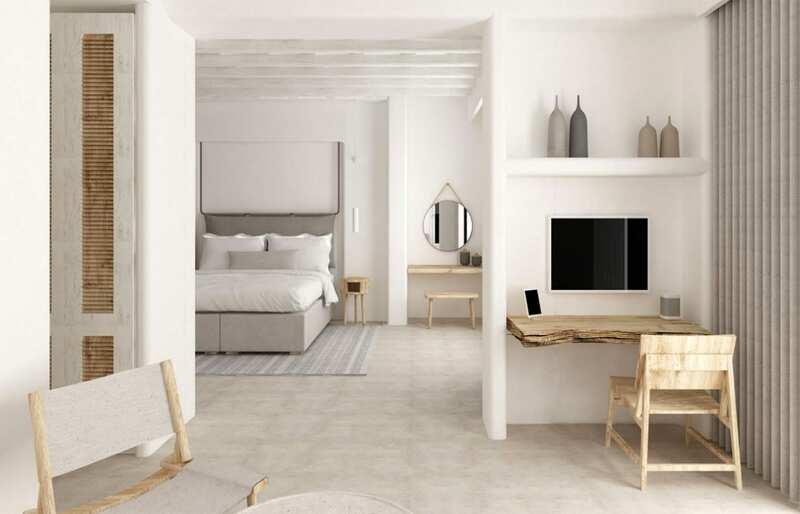 Inspired by the traditional Greek island architecture, the spacious rooms and suites are all set in a baby blue and daydreaming white, with crisp lines and lovely details and furnished with designer furniture. 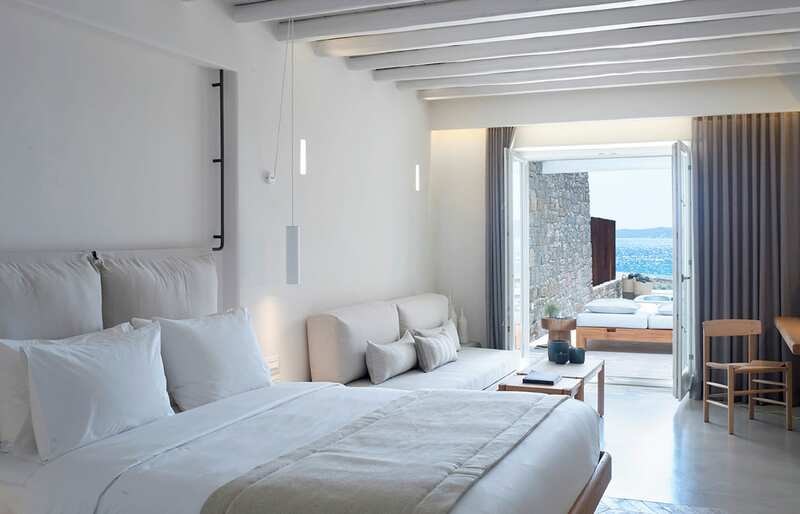 Guestrooms feature private terraces with sun loungers or balcony, and some have outdoor Jacuzzis too (Master Suites). 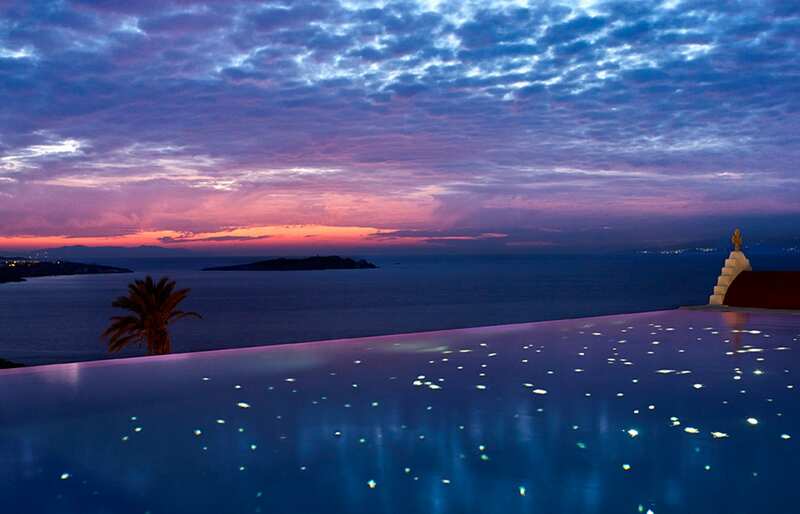 All assure of great views over the sea—and the amazing sunsets. 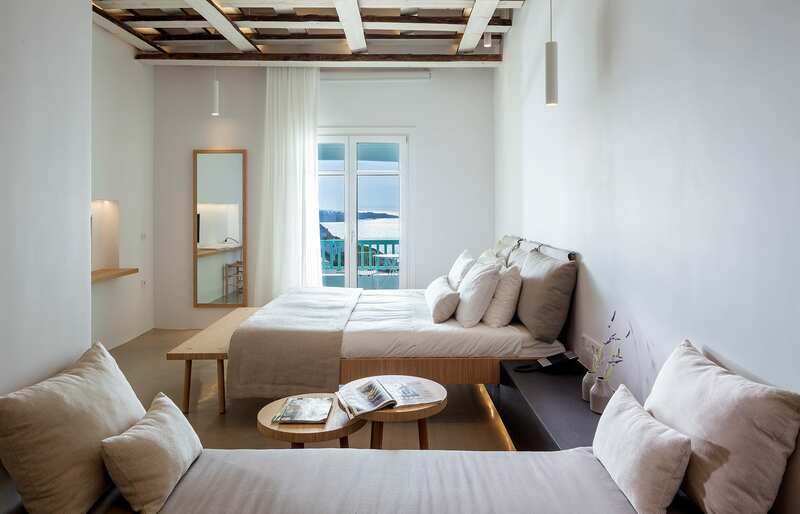 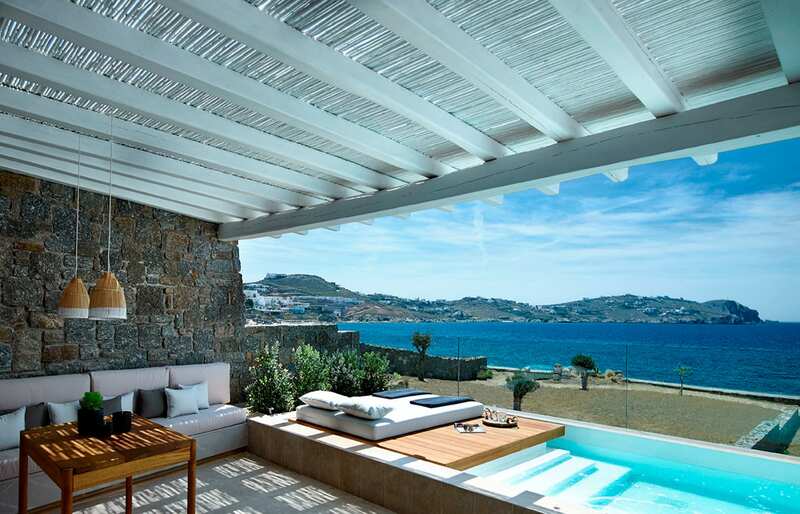 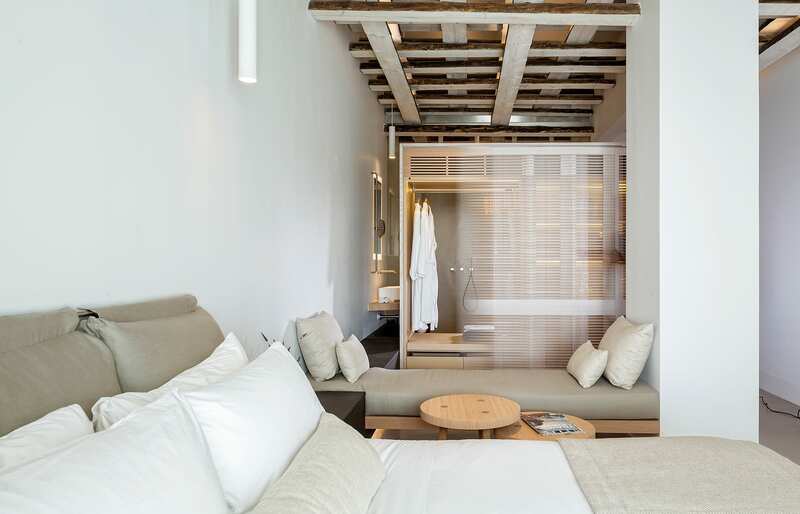 This boutique hotel is a great hangout for fashionable travellers on a romantic vacation or a honeymoon in Mykonos. 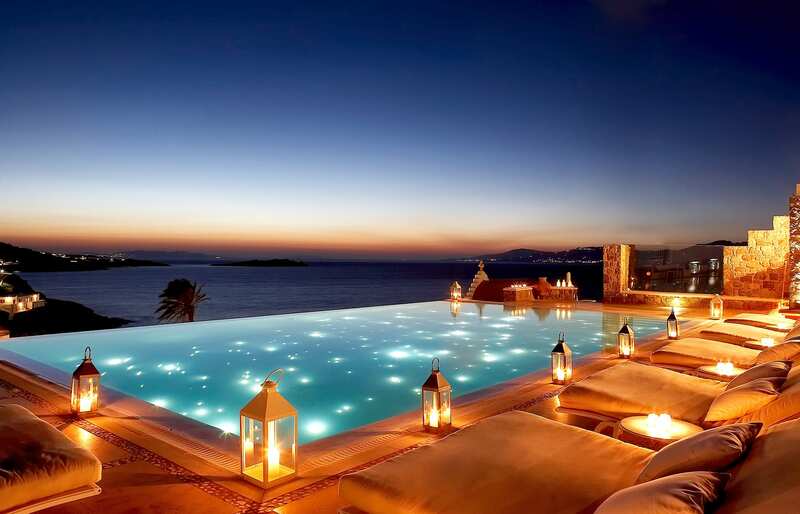 Great infinity pool, best appreciated at the sunset and in the evening. 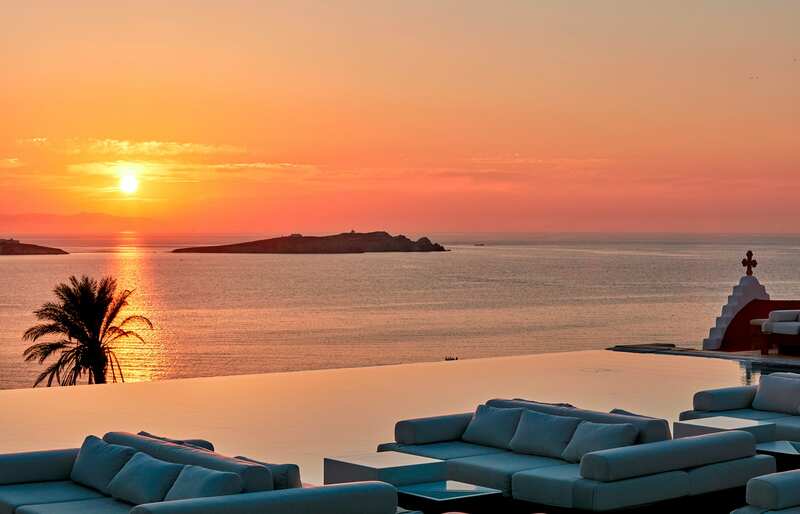 And the sunsets as seen from the hotel are truly breathtaking. 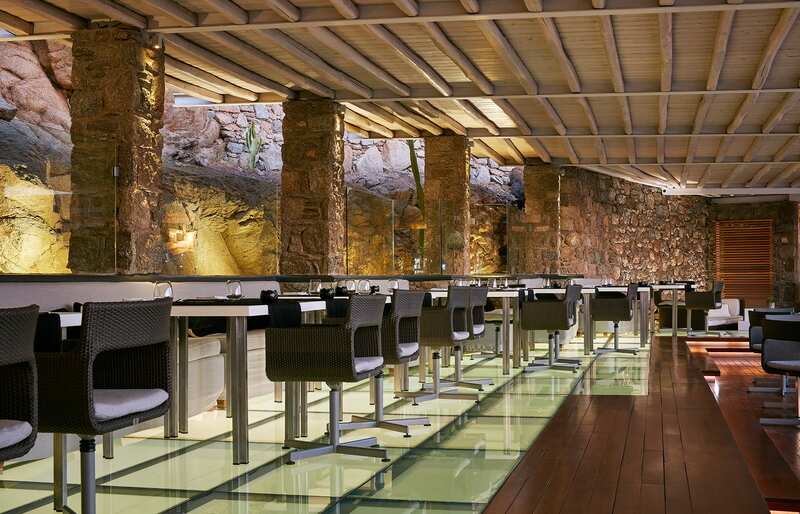 The restaurant: great setting and service, exceptional and innovative cuisine. 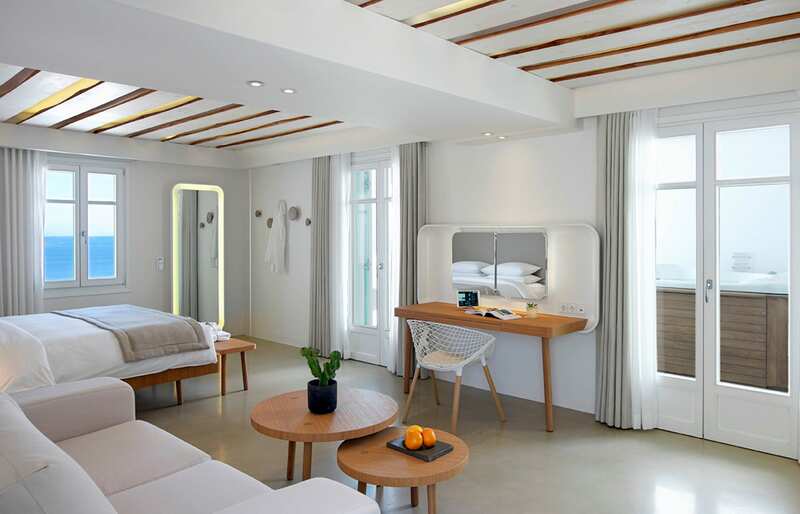 A small number of rooms ensures a personal service. 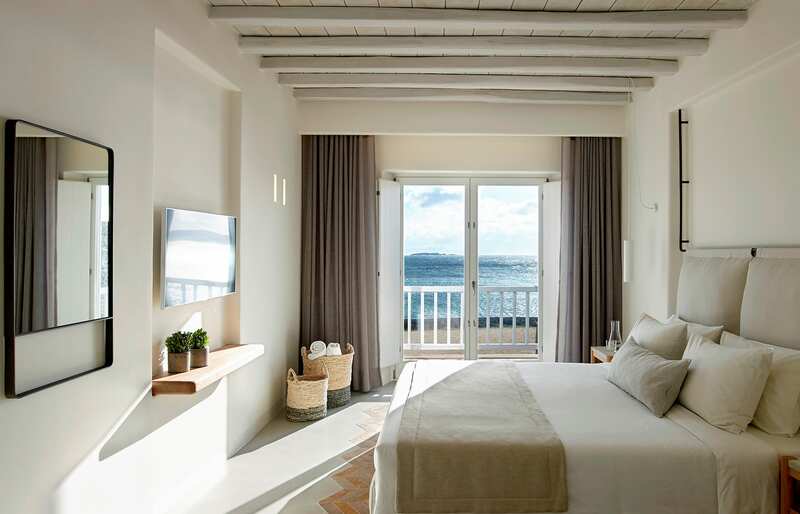 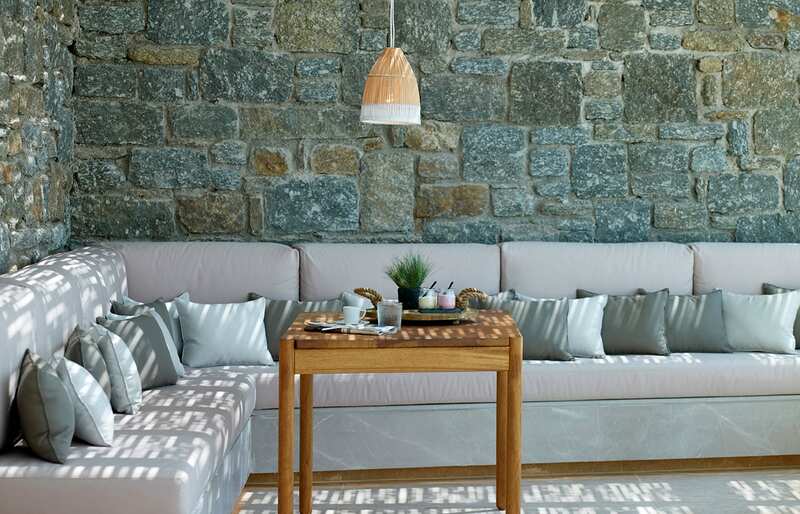 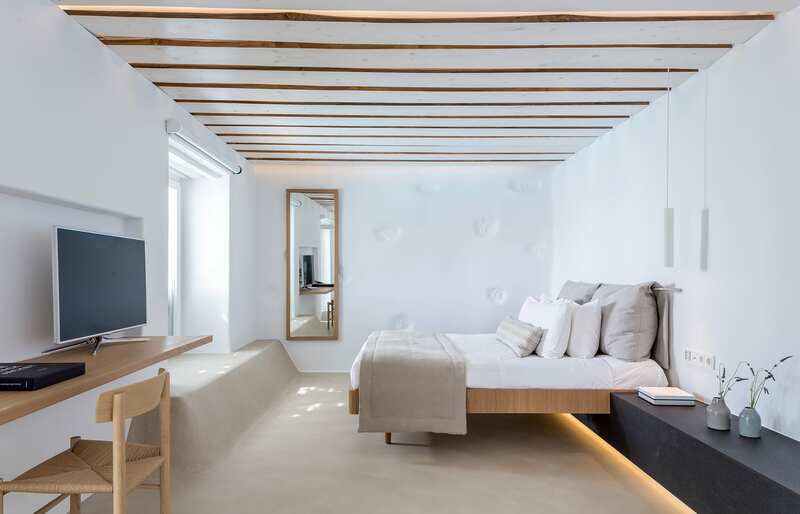 Since our stay at the Suites and Lounge, the hotel expanded with Coast Suites, adding seafront accommodation options—and more opportunities to adore the Bill & Coo Mykonos serene atmosphere. 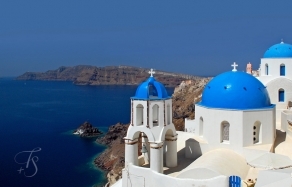 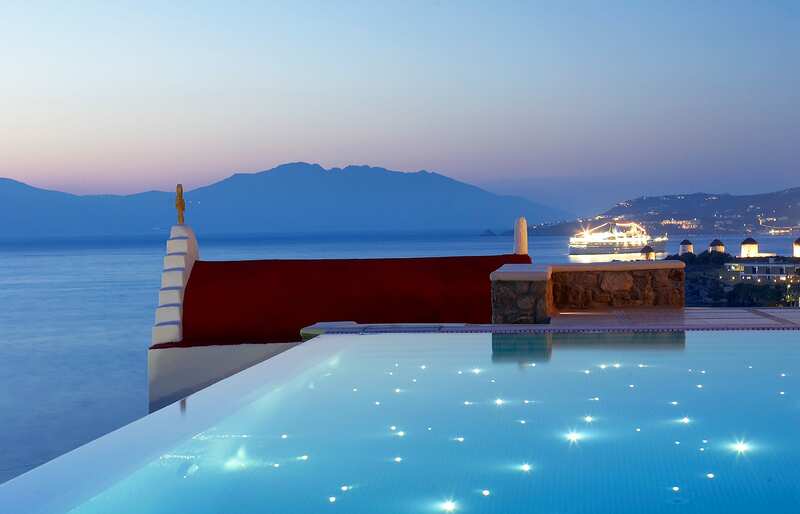 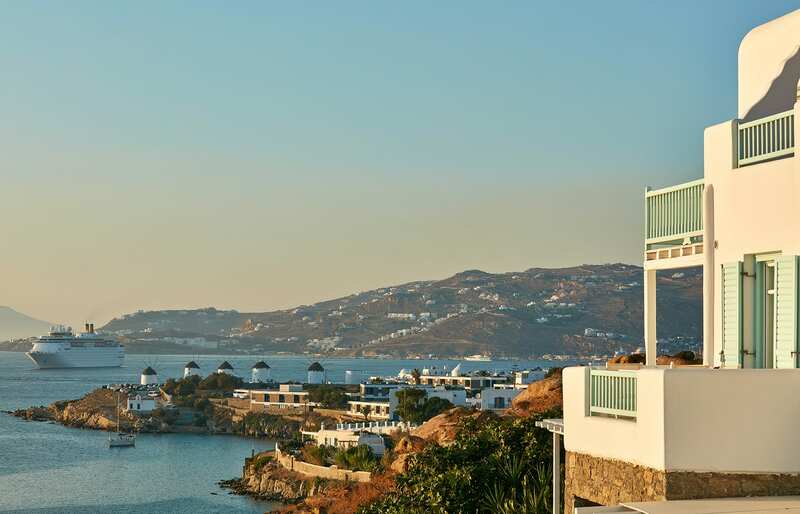 The hotel is located some 10-minutes walk from the Mykonos town. 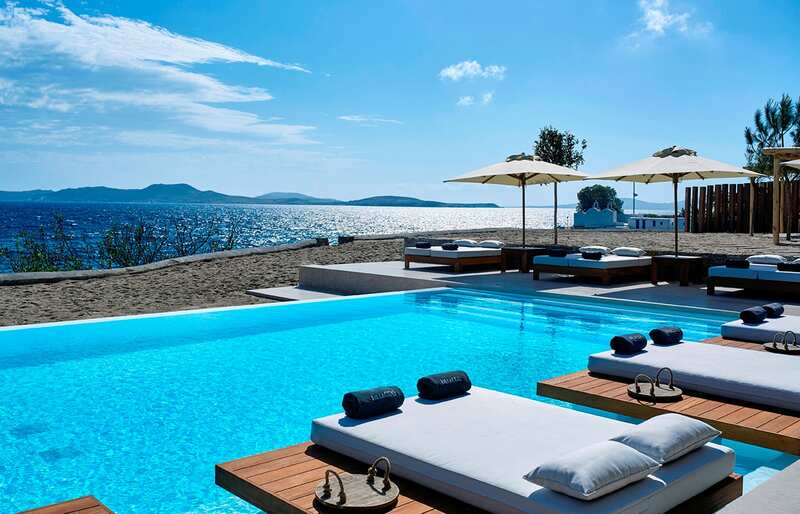 This requires walking alongside a busy road, which is easy enough during the day, but it does get rather dark at night, and there are no sidewalks. 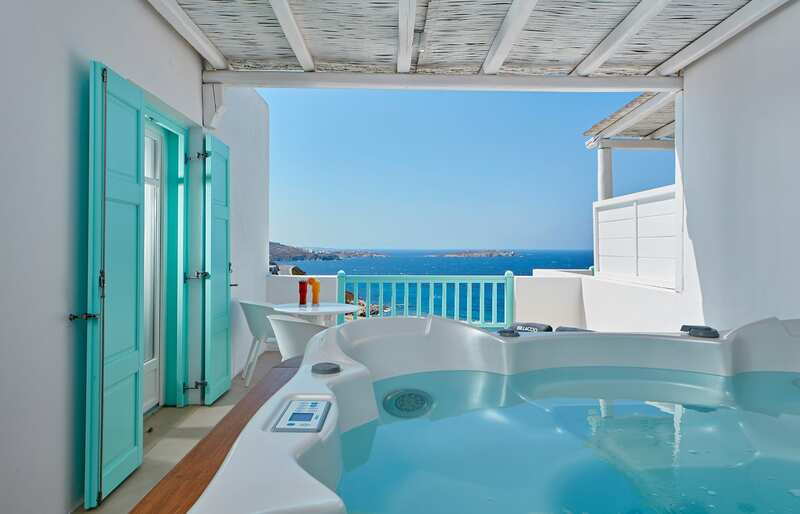 The room next to the bar/kitchen is a bit noisy. 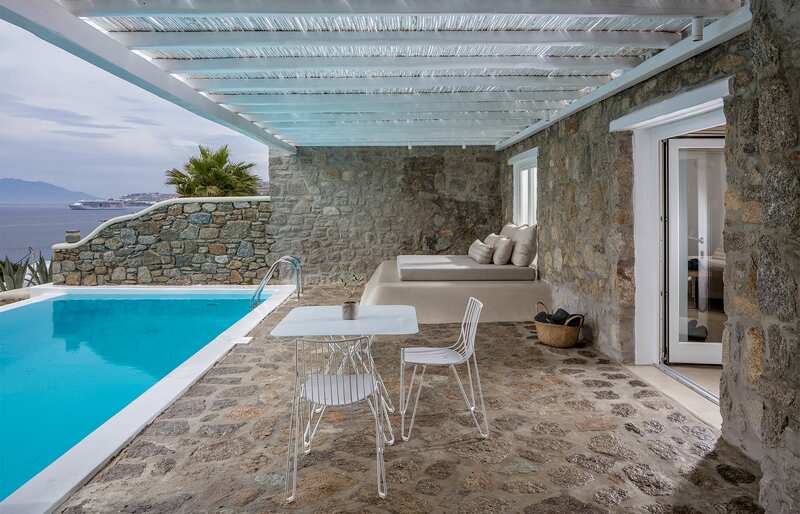 Balcones/terraces have limited privacy as they are overlooked by neighbours.